We know we love mindfulness for bringing tranquillity and focus to our on-the-go lives, and we love facials for their wonderful effects on our skin. What we didn’t know is they can be put together to create a stunning holistic treatment for enhancement of both skin and mind to calm, refresh and inspire you. Christchurch’s own Nicola Quinn Beauty and Day Spa is excited to bring you their latest facial treatment, the Ginger & Me Skin-Mind-Power-TUDE Facial. 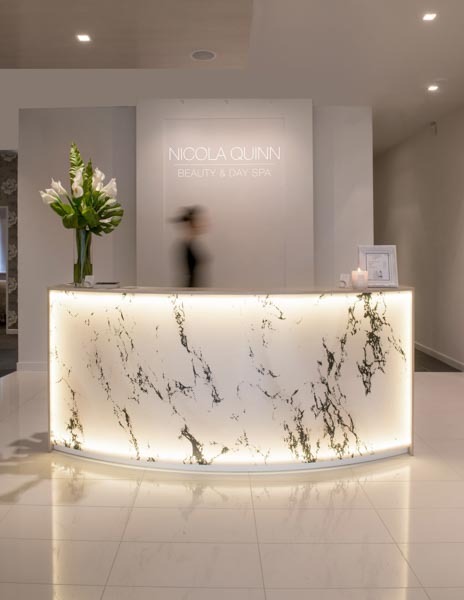 Spa owner and Ginger & Me co-founder Nicky Quinn says, “We believe we are the first to offer this multitasking treatment – ensuring beauty starts from the inside out and taking you where no other facial has before”. The treatment will take you through a guided mindfulness meditation session via headphones, guaranteed to empower, enlighten and allow you to choose your attitude (the way you do life), your altitude (what you get from life) your gratitude (how you acknowledge life) and your beauty-tude (the way you show up to life). At the same time, your skin will take some time out with an indulgent and detoxifying facial, with your choice of an anti-aging, purifying, hydrating, or brightening mask. Ginger & Me also has a new range of powerful skincare products, working at a cosmetic-medicine level to counteract aging and skin stress. This fabulous Mindfulness Facial is available for $149 at Nicola Quinn Beauty and Day Spa, open six days and until 9pm Tuesday to Thursday. Phone 03 355 6400 or book online at www.quinnbeautyspa.co.nz.